SKU: 1388872371. Category: Brooches. Tag: W Flower Brooch Pin. 1. Order amount less than $100, We provide free shipping only by china post air mail. 2. Not in the free shipping countries and regions, can refer to standard freight to collect freight 50%, then can deliver goods. Top Quality Crystal Brooch,18KGP,Shiny Austrian crystal. 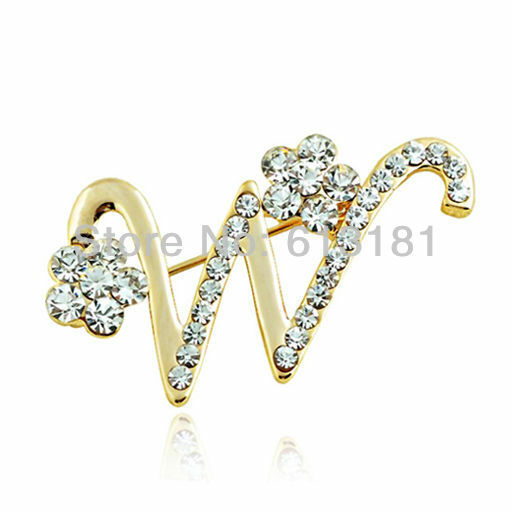 2013 new style brooch pin for women or girls. Factory direct sale,free shipping wholesale! Fit for: as a good gift. 1.Minimal Order is $15.00, If the total amount is less than $15.00. Please contact us ,If not ,We will not make shippment. 2.For wholesale,if you will make a big order(accept mixed wholesale),please contact us first,we will provide the cheapest price and DHL/UPS,EMS free shipping. 3.We will send the goods within 3days after receiving the payment informations. 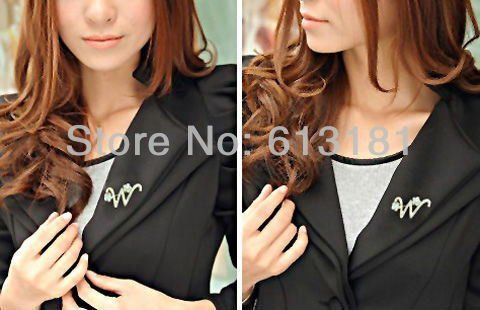 4.Order amount is more than $90.00,we can choose $5.00 items for free gift. 2.If you want to pay in different way ,pls contat us . 1.All the goods will be send out in 3 days after receiving the payment informations. 3. Our price doesn’t include the taxes,VAT or other hidden charges.To ensure you pay minimal tax,we will declare as "gift"or "sample" with low value. 1. We depend on our customers’ satisfaction to succeed. We cherish every customer. 3.If the product has any quality problem,we will offer full refund to you. 4.So please contact us in any time.